Today, we have launched our official Newsletter. Those who subscribe will receive notifications about upcoming SpyShelter updates, sales, and giveaways. We also plan to use this newsletter to get in touch with SpyShelter users. For example, we might send you a poll to determine what new features would you wish to see in an upcoming version. We will not send a lot of e-mails. We hate spam too, that is why we are going to send e-mails on special occasions, like new version release or sale. We look after our users privacy; therefore, all you need to subscribe is a valid e-mail address. We do not need your name, birth date, or any other information. If you subscribe to our newsletter before 21-11-2014, you will receive a unique coupon code(valid till 22-11-2014). 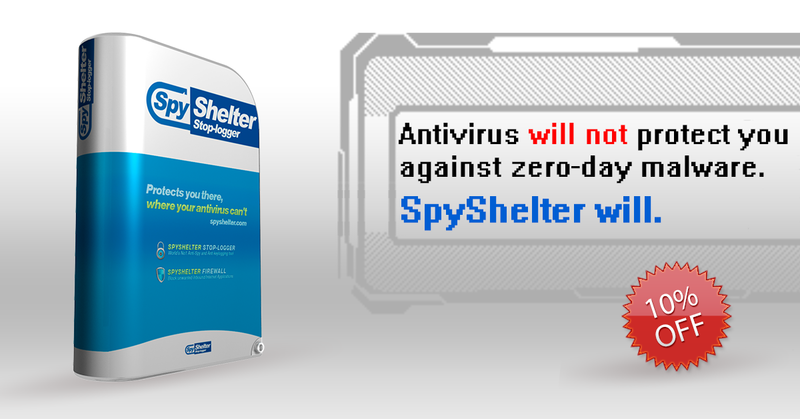 This code will grant you 10% discount code on any SpyShelter product you wish to buy.